Just in time for a Thanksgiving Day celebration with family and friends, we made a final push yesterday to clear the sunny yoga room of estate boxes I had decided were *easy* – or, the easiest emotionally of the three groups we triaged months ago in March/April (the other two groups include The Box Room and The Root Cellar). This group included dining dishes, kitchen wares, sheets, blankets, wardrobe, lamps, home decorations, old software and hardware, books, games, and toys. To get the room back to 90% functional, we fully processed (integrated-into-the-home or donated) all dining and kitchen goods, sheets and blankets, and old technology. We left books, games and toys stacked on a far wall for future sorting-at-leisure in the future. The few remaining boxes (wardrobe, lamps and home decorations) we moved to The Box Room. 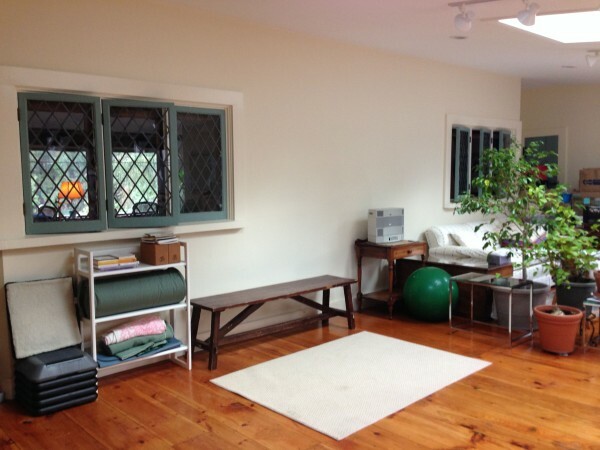 It feels wonderful to have the Sun Room/Yoga Room clear again. I’m grateful for all of the support and patience with this project I’ve had from my beloved life partner, Karl, and the hearts and hands (Edith, Hillary,and Melissa) who have helped me to get through the contents of my family home. P.S. Because we’ve finished this room six sessions ahead of schedule, I’m now able to focus on the next highest priorities: personal active files and personal/family archives. This is a great bonus!